Recently, I tackled a question that’s been on my mind for some time now; many reader questions have asked the same to me: How many ETFs are enough? I can’t speak for your portfolio but I know for us, we use a couple low-cost U.S. dividend ETFs to supplement the Canadian content in our portfolio – that basket of dividend paying stocks that is churning out some growing income for semi-retirement. How I built my dividend portfolio and maintain it, may or may not work for you depending on your financial goals and objectives. Personal finance will always be personal. That said, it’s probably fair to say since you’re reading this site you’re very interested in growing your money effectively, keeping your investing costs low, being tax efficient with your portfolio and keeping things simple. There is beauty in investing simplicity! I don’t necessarily believe in one-size-fits-all investing solutions for everyone blindly but there are a few choices I would strongly consider if you’re overwhelmed with the number product choices out there – and now Vanguard Canada has taken things to the ultimate level with some outstanding new products. 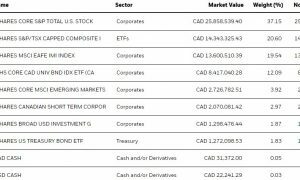 With a handful of low-cost, diverse ETFs covering the Canadian market, the U.S. market and international markets; most investors would do phenomenally well over decades of investing buying and holding such funds for growth. Vanguard Canada has changed that game for passive investors whereby you can now buy a single ETF – a fund of funds – constituted as “Conservative”, “Balanced”, or “Growth” to make things super simple for investors. Vanguard Canada will automatically re-balance the constituents of these funds to a specified allocation on a regular basis – so there is no re-balancing effort. Basically, other than making regular investments into these products, these one-fund solutions do all the work for you. You need not worry (anymore?) about whether you are getting fleeced by your financial advisor. The management fees for these products, at the time of this post, start at 0.22%. Meaning, the base money management fees to own these funds will cost you a measly $220 per year for every $100,000 invested. Beyond that rock-bottom MER, these ETFs will also have some withholding taxes applied (given the underlying assets they hold from the U.S. and international markets). 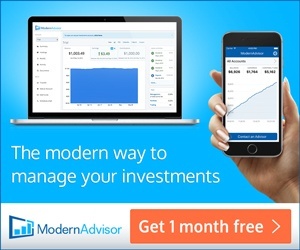 Even then, say another couple hundred dollars for those fees and with a few hundred bucks for every $100,000 invested you’re gaining exposure to more than 20,000 stocks and a healthy dose to bonds to strategically combat whatever the markets can throw at you. You can read the nitty-gritty about withholding taxes in this stellar white paper here. Even with foreign withholding taxes applied, these funds are some of the cheapest, diversified, low-maintenance investment options for investors – anywhere. If you’re risk adverse and you’re primarily looking to preserve your assets (with some growth) this fund might be for you. This fund will target an allocation of 40% stocks and 60% fixed income. If you want to protect your portfolio from bad stock market cycles and/or you might want this money in the coming 5 years or so to draw from in retirement, some of your assets could be placed here. Just as the name suggests, this ETF follows a traditional, balanced, 60/40 stock to fixed income asset mix. I believe this set-up is ideal for investors with a moderate risk tolerance and/or a longer investing timeline, say 10+ years. Favouring long-term growth over asset preservation? Don’t want to be 100% equities? This fund could be for you. This fund allocates 80% stocks and 20% fixed income. The composition of this fund makes it an excellent candidate for young investors with decades of investing years ahead and/or investors that don’t mind riding volatile equity markets from time to time. Based on my understanding, these all-in-one funds are eligible to use in a variety of investment accounts: RRSPs, RRIFs, RESPs, TFSAs and more. Is there any competition at all? 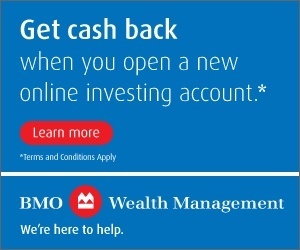 Despite my rave review of these funds for hands-off, long-term investing, a partner and big fan of this site BMO also has some competition to these funds – although the management fee is a bit higher. Consider the BMO product ZMI – the BMO Monthly Income ETF. This ETF is a fund of BMO funds with the rebalancing work done by BMO. With a yield over 4%, you can rely on steady income with this all-in-one product. This one-fund solution can be a good home in your RRSP, RRIF and/or your TFSA – a reminder there are many great things you can do with your TFSA! Over time, I expect to see more all-in-one fund products offered by various financial institutions AND lower fees for these products, as the investment industry grapples with higher expectations from investors. That’s a good thing. At the end of the day, with all else being equal, lower-cost ETFs allow investors to keep more of their hard-earned money but avoiding paying other people first. While low-costs are very important, investors should also carefully consider their financial goals, risk tolerance and other considerations when making financial decisions. These products highlighted in this post today are intended to meet the needs of many investors but that doesn’t mean these products are a slam dunk for you. What do you make of these low-cost fund of funds? What do you make of low-cost income oriented funds like ZMI? How do you invest? 36 Responses to "Simple, low-cost, all-in-one Vanguard ETFs"
If I were just starting the investing journey I’d be all over these types of investments. Easy diversification with a decent MER. One issue might be if a person was purchasing these on a monthly basis what with acquisition costs. Purchases on an annual basis would be insignificant. Once a person has amassed a substantial enough portfolio, the costs may become problematic (I’m thinking of a .5M and up size). Once a person gets to that range they might want to think about just looking at the top holdings within their ETFs and emulate them themselves. Great article Mark. Finally a cheap fund of funds etf option! I have recently sold some old mutual funds in my wifes RRSP and the money will be earmarked for one of these. ZMI’s distribution is attractive at 4.5%. Can you see a yield for VGRO? ZMI has always been a healthy 4% or just more; a very good product for income-oriented folks that don’t want to eat into their capital and don’t mind paying about $600 or so per year on every $100,000 invested. As you know, 4-4.5% yield means every $100,000 will churn out about $4,000 to $4,500 per year every year. It’s frustrating how so many fees/drags on your investments are hidden. You bring up the fact of foreign withholding taxes which I hadn’t really considered when I had looked into these funds before. Other bloggers who have reviewed these funds (MDJ, couch potatoe) didn’t mention them at all. Anyone smarter than me able to estimate the actual cost of these funds in non-taxable accounts (as you can’t recover any of the tax paid)? Safe to say the withholding taxes will add, ballpark, another 0.2% or so to the existing 0.22% MER. Still a very good deal compared to 90%+ of the products out there to own. Thanks for sharing that Dave. That was a good, detailed article. For VGRO in particular, with 80% stocks and 20% fixed income, 0.25% MER + 0.18% tax drag is still very cheap for a wrapped product that basically does it all for you. Holdings of 11,980 to 12,012. Whats left not to own? Definitely buying the market(s) if that’s what one wants. No thanks. Crazy eh? You will get all the “good” and “bad” and everything in between with those assets. Nothing left to buy – which is the point of indexing. It therefore ensures that you don’t miss out on any of the very few super performers (4% of all stocks) that give you all the return above t-bills. I had considered putting all my TFSA or LIF money into the Vanguard VBAL but I wanted income from my ETF’s not just growth and a smaller yield. But I do recommend these Vanguard funds to many people who aren’t retired and want to move away from mutual funds. I really liked ZMI and considered buying it in a large way for a year but the high MER of 0.61% didn’t square well with me for a product that has 43% or so FI in ETF bonds. If the MER was .25% or less it would be an excellent choice for me. BMO covered call equity ETF’s provide much higher yields at similar MER’s while BMO ZAG and other bond funds carry MER’s of only .09% or so. Thanks Marko. I understand the fee concerns with ZMI. A good product but if the fees were lower, say closer to 0.30% I would guess they would draw more assets under management for a great all-in-one fund. Given 4% yield is tempting and anyone owning say $500k across their TFSAs and RRSPs would be receiving some healthy income without touching the capital. for someone who’s invested in a Canadian couch potato portfolio 40/60 using VAB,VCN,VUN,XEF and XEC would it be beneficial to switch to VBAL ?? I was kind of tempted to do that but then looking at VBAL dividend yield they’re to low in comparison with what I’ve got at the moment unless things change in a year or so since these ETFs are fairly new ? ( i have all my investment in RRSP so i have no worries regarding tax implication so I’m in it for the extra simplicity ). I think it’s a consideration Gus. Nothing wrong with what you have either, as long as you’re willing to do some re-balancing every year. Those are great funds you’ve selected. I agree, this is an excellent product giving you a globally diversified portfolio of stocks and bonds, automatically rebalanced and at a reasonable cost, in just one ETF! Want more could you ask for? There are minor issues (loss of foreign dividend withholding taxes in registered accounts and tax inefficient regular bond funds in non registered accounts), but these things are insignificant in the big picture where with investing simplicity beats complexity hands down. As Jack Bogle says “Simplicity is the master key to financial success”. I don’t care for ZMI – too expensive and with a focus on income is less diversified, and therefore riskier, and less tax efficient in a taxable account for someone in the accumulation phase. Not much I can add to what’s been said above. These are great products for people looking for a simple, balanced, economical and diversified investment solution. Just 2 quick points. I would never buy ZMI for the simple fact that the distributions are stagnant. If you’re buying anything for income you want that income to grow every year. #2 – One asset does not a portfolio make. Those Vanguard products are too new to purchase right now for me. I want to see at least a 5 year performance history first. As mentioned earlier way too many holdings dilute the product IMO. I think you are misunderstanding what this ETF is. It is not one asset. It is a globally diversified portfolio of stocks and bonds, all in one container called and ETF. And the whole point is to be as widely diversified as possible – own the whole market – the very basis of passive indexing which the evidence shows gives you the highest probability of the optimal outcome. It depends on your goals. If it is capital preservation, in your 60s and 70s, with some income; then I could see some investors enjoying ZMI. They don’t need rising distributions – they have “enough” – what they need is income security and avoiding a major market calamity. As Grant has shared, this is a fund of funds. Investing can be that simple. I do appreciate this fund may not be for everyone though. I’ve just been rereading Andrew Hallam’s “Millionaire Teacher” and was working up my courage to do some self-directed investing in ETFs on QTrade, using Andrew’s formula, as well as the advice from you and the Canadian Couch Potato. Then……you posted this article with the “all-in-one” ETF. So now I’m not sure what to do!! I’m a very nervous investor, and have been trying to gradually get away from mutual funds (1.9%), as well as my managed portfolio through Raymond James (1.5%). So far, I’m stuck, and have TFSA money and RRSP money sitting in savings accounts plus the above mentioned mutual funds (only one left now) and managed account (with most of my retirement savings). How do you compare the “all-in-one” ETF with the basic three ETF portfolio?? Beth, in my opinion, both are fine. The “all in one” ETF is more hands off as you don’t have to worry about rebalancing, so if you prefer a more hands off option, then that’s the way to go. The important thing, though, is to just get invested. So just choose one option and pull the trigger. Good luck! We think alike 🙂 Thanks Grant. I didn’t write the post to confuse you and others! 🙂 Essentially, the biggest change between Vanguard all-in-one ETFs (often a fund of funds) and then the separate three-basic ETF portfolio is for the latter, the work is on you re-balance the portfolio. Meaning, do you have the right allocation of 33% of each fund or 20%, 20% or 60% of those funds, etc. You’ll also need to consider where to hold those funds, inside TFSA, RRSP, or non-registered or all three since they have different withholding tax implications. With the all-in-one funds, primarily they are built for TFSAs and RRSPs and essentially, you buy, hold, reinvest distributions over time and don’t worry about very much. This means there is simplicity designed into an all-in-one where the investor has to do little else but own it and leave it alone for many, many investing years. Stay tuned for one final post in the coming week or so where I discuss what ETFs might be good for TFSAs, or not, and why. That should also help. One benefit of holding a 3-fund ETF portfolio vs an all-in-one ETF is that you actively get to re-balance during a downturn. This means you’re selling bond funds and buying equities during a dip. Buying low and hopefully selling high in the future. As an investor this feels very smart. That positive “feeling” helps to counter some of the negative biases investors fall victim to during a downturn. The all-in-one ETF does this re-balancing but as an investor you don’t see it happening. This means you lose the psychological benefit of re-balancing. I agree and ask the same question. I think each investor would have to ask themselves this for an honest answer to make the choice of funds. What critieria will they use to rebalance, can they keep emotion out of it, and just how disciplined will they be? Psychology in rebalancing can work 2 ways- it may bring more attention to the fact the portfolio did not perform well in the rebalancing review and get an investor to avoid buying in a down market or tinker on their own, some of the things not in their best long term interests. My quess is the vast majority of 3 etf couch potato type investors would be much better served by having rebalancing done automatically in a single fund all other things being equal. Just understanding how this works, knowing its being done should be enough for most passive ETF investors. There may come a time when this works for us too. RBull, I agree. It’s fine to say it feels smart to rebalance in a bear market while we are in a bull market. It’s completely different in a bear market when it is very difficult to rebalance. So I agree with you, many investors will be better off in a one fund as they won’t have to deal with rebalancing themselves. ps – I’ll see what is going on with my site. You’re right of course, for the vast majority of investors the all-in-one solution is probably the best choice, but for investors with a clear investment plan and the discipline to act on it then there is a benefit to rebalancing manually. We use a ‘time and threshold’ rebalancing guideline. We review our finances three times per year, Jan, May and Sept, and only sell to rebalance if our allocation is +/- 5% from target. This limits transaction fees but still keeps your portfolio on target. Vanguard did a white paper on it and found that a quarterly rebalance with a 5% threshold only triggered 50 rebalances over 88 years. If you do it just once per year then rebalancing is only triggered 36 times. Interesting side note, they also found that rebalancing just once per quarter or once per year had a benefit of higher returns vs rebalancing more frequently with a lower threshold. This isn’t too surprising because waiting longer to rebalance would leave more money invested in equities over the long run, which would produce higher average returns. Still interesting given the difference was 0.2% to 0.3%. Interesting about the ‘time and threshold’ re-balancing guideline. I would argue few investors have that discipline but if you do, kudos! I’ve also heard from investors who have 100% equities they don’t care too much about re-balancing, since they only have a few ETFs and they simply let them ride for years on end. They keep cash on hand (i.e., one year or more) to buffer bad markets. Thoughts on that? Not sure I see the value of keeping cash on hand to invest in a down market. Personally, we keep a small percentage of our portfolio in laddered 5-year GICs. 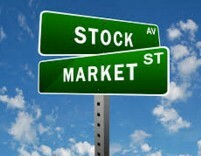 We could always liquidate those if the market were to tank and put them into equities. There would be a penalty for withdrawing the GICs early, and we would give up any interest accrued, but at the very least we’d be in the same position as holding cash. I was heavily invested during the 2008 downturn and it was a rude wake up call when the markets dropped 50%. It made me realize my risk tolerance wasn’t quite as high as I thought. I always worry about 100% equity investors, especially when they have only experienced the bull market of the last 10 years. I know personally that I felt sick as markets fell and that’s not a feeling I’d like to repeat. That’s why we target a less aggressive portfolio now. Really? re: no cash on hand in a down market. That’s the perfect time to deploy all things being equal. GICs are good for short-term needs but long-term, especially since you seem young, I don’t understand. That’s just me Owen. Cash is more liquid. “I was heavily invested during the 2008 downturn and it was a rude wake up call when the markets dropped 50%.” That’s a good lesson Owen and I suspect it will happen again; markets down that much by 20%, 30% or more. I’m 100% equity but I also have some tolerance for risk. Some of my stocks have been down > 20% at times but I stay invested. I have a question in regards of rebalancing , when do you guys rebalance once per year ? or when a certain fund have drifted from its percentage like 1,2,3,% or more ? the reason why i’m asking is that i’ve got only 5 months in diy investing and the funds have shifted only around 1-1.5% specially with the way the market is acting lately with those swift swings up and down. Hi Mark. Would it make any sense to own 60% of the Vanguard conservative ETF fund and 40% of the balanced? I’m six years from retirement, at 65. I can’t offer direct advice for many reasons Beth but personally, I think these all-in-one Vanguard products are pretty good – there are simply different products for different risk tolerances and different investing objectives.